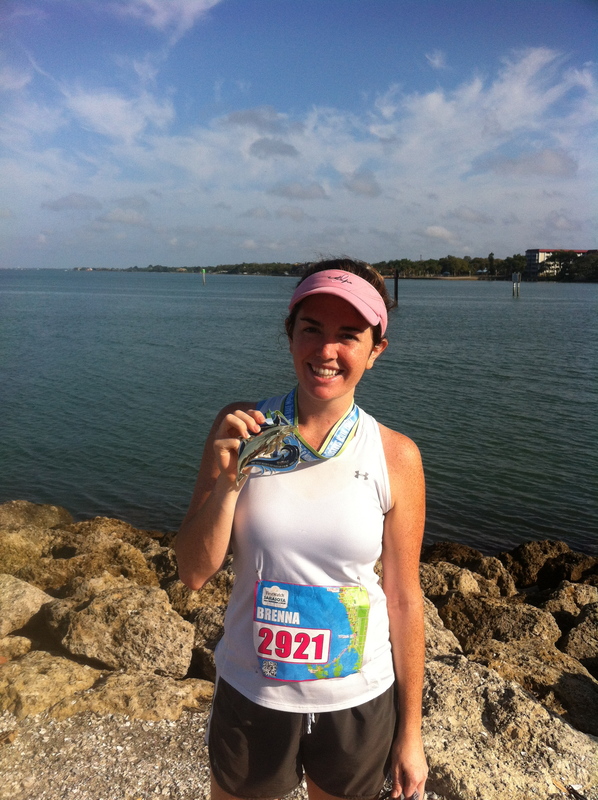 This past Sunday, my friend Maureen and I ran the Sarasota Half Marathon. Even though the training was filled with running shoe woes and stomach bugs, we managed to pull out a personal best of 2:07:33. The run itself was probably my favorite course so far. To begin, you run over St. Armand’s bridge which lends itself to gorgeous views of the bay. After a quick run around a circle of stores (the temptation to steal Starbucks from the cheering crowd’s hands was strong), you trek back over the bridge and onto a long strip of road. The out and back in masked by a return trip through the surrounding neighborhoods– filled with some gorgeous and extremely large homes. Several households grabbed lawn chairs and cheered on our fellow 3,000 runners. It went by quickly. I hate to say it, but most of the time I was thinking, “At least it’s not 26.2!” The run was also improved by having a friend there. I forgot how much I missed pointing things out to someone (i.e., check out the guy dressed as Tarzan, how is a nine-year-old passing us). There’s nothing better than accomplishing a goal! Here’s to the next one. Congrats on the personal best! Great job ! Thank you! I didn’t hill train at all so it was certainly unexpected. Yea, I know what you mean ! my only race outside of FL was in a really hilly part of New York. I never have the chance to run on hills so I definitely felt a difference even though it happened to be a personal best as well ! 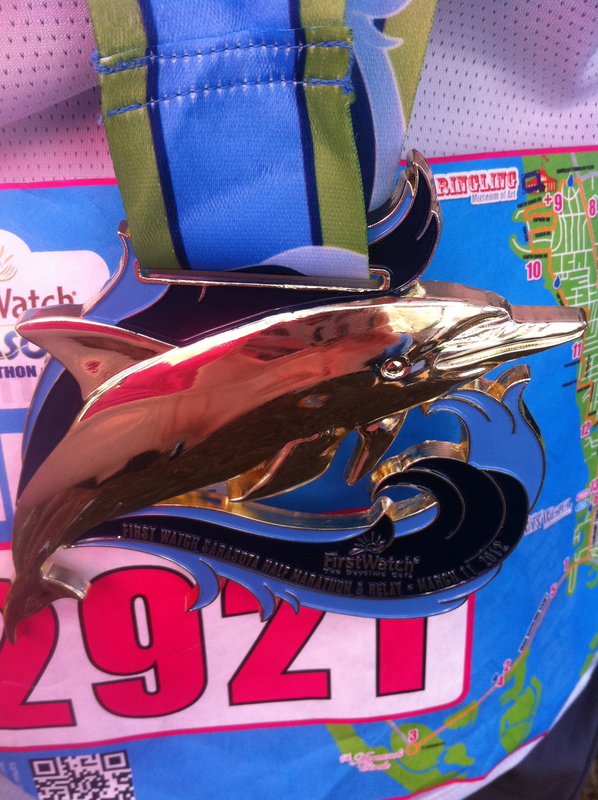 As someone who prizes a well-designed medal, consider me jealous of your finish. Congratulations on getting through the race and overcoming potential nutritional issues! Congratulations!!! You both did awesome! !